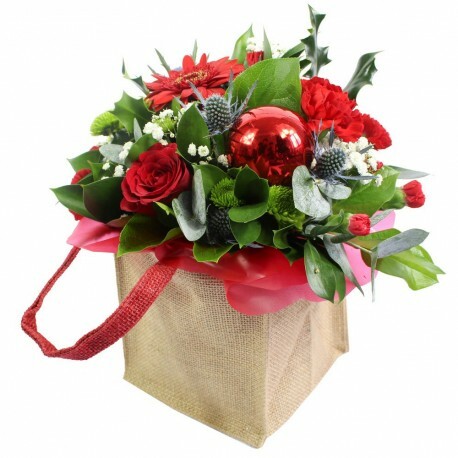 A unique Christmas gift bag, professionally arranged and delivered by a local florist. This beautiful baubled gift will include a festive range of florist fresh flowers. Including Santini, Holly, Eucalyptus Cinnerea and Ruskus. Delivered same day when you order before 2pm or on a specific date of your choosing.